Thus the evolution of websites and blogs enriched to the maximum level. The people try to share their views, thoughts, opinion, expression and even do their business with the help of websites and weblogs. The blog could be established very fastly than before due to CMS – Content Management System introduction. Some of the famous CMS blogging platforms are WordPress, Drupal, Joomla, Ghost and so on. Here, I will explain why you should choose WordPress as your blogging platform in this blog post. The 10 reasons below would convince one to start their blogging career with the WordPress CMS. The wordpress.com is the managed blog platform but it has some limitations when compared to WordPress.org Self Hosted WordPress Blog. The 10 reasons why one should go with the WordPress CMS are listed here. Nearly over 26% of the web is filled with WordPress powered websites and weblogs as of March 2016. The Search Engine Optimization is the major part for ranking your weblog over the Search Engines. 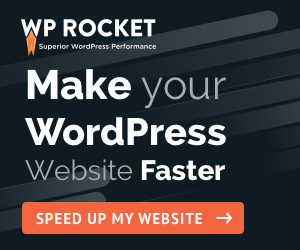 The WordPress as trusted by millions of people have the SEO friendly platform that actually skyrockets people blog in no time. the several plugins are also available for optimizing the Blog and the Blog post very effectively. Those who love to start their blogging career right now, then WordPress would be the most suitable CMS when compared with the other blogging platform. The WordPress is easy to use and have tons of documents to headstart the blogging career. The beginner level people would never feel down when they go with the WordPress CMS. The other CMS actually requires some technical skills, HTML, CSS, Java Programming, etc which could be a major obstacle for the beginners. WordPress is the best CMS which has tons of tweaking and customization part. One could easily customize the blog like a pro with the WordPress CMS effectively. The wordpressthemes and plugins available for WordPress extend the opportunity for customizing the whole blog to the next level. It would be a perfect CMS platform for creating an awesome blog for sure. From widget customization to the content building WordPress helps the people in a fantastic manner. The cost for setting up your dream blog would never be too costly. It would be obtained and established at the reasonable cost. Yes, you don’t need to pay a single penny to use the WordPress CMS platform. You’ll need to take care of web hosting, domain and sometimes for the premium themes. The WordPress is GNU based free software which one could use and customize without any issue at free of cost. This would be a major reason for choosing WordPress as your Blogging Platform. WordPress is a responsive and easy interfaced blogging platform. It would never distract or malfunction while blogging on the go. Thus, it could adopt for the situation like handling the blog post, rendering it to the various browsers, writing interface and other responsive modules perfectly. So, it is one of the concrete reason for choosing the WordPress as your blogging platform. The beginners to the experts would get into some issue for sure. This could be completely solved with the help of several documentations and through the blog post. Meanwhile, the WordPress Forum would be a great choice for your burden. The WordPress support system is totally good while comparing with the other CMS platforms. The WordPress is most often loved by the people due to its wide functionality in optimizing the Blog for the Mobile devices. As most of the people browse through the mobile devices, the blog should adapt to those things. Thus, WordPress comes here which renders the blog for the mobile devices without any issue. So, mobile optimization would be another great reason for choosing WordPress. This part looks tedious in other CMS Blogging platform and requires skill and time to customize them as well. The WordPress plugins has the ability to install several Plugins that do several functions. These are developed by the WordPress developers around the globe. The Right WordPress Plugins are seen as the essential growth factor for WordPress success. The lovely plugins do awesome work for your Blogs such as from capturing the leads, securing the blog, SEO, Content Building and much more. The blog content could be crafted very beautifully with the help of Drag& Drop content builder and Visual Content for the blog readers very easily and effectively. This feature is limited or not available on some of the CMS Platforms and so WordPress is chosen by millions of people. The monetizing the blog is damn easy and it could be handled by the Plugins. The Google AdSense based monetizing could be done very easily without any hard integration. You’ll need a simple plugin or just placing the advt code with this WordPress blogging Platform. Another monetizing method is also possible with the proper documentation for WordPress users most often as it is used by many people around the world. So, the monetizing factor also implies that WordPress is worth enough than other CMS. The WordPress is a secure and safe platform for the blogging purpose. You’ll never get into any trouble by losing your Blog Data from the hacking process (It is possible but not too easy to do it). The several WP Security Plugins adds the extra value for security and safety of your Blog. Thus, WordPress looks best for blogging for a long term without any problem. The above 10 awesome concrete reason would make the people choose WordPress as their blogging companion for sure. One could see many blogging platforms available over the internet, but as trusted by millions of people, I would suggest WordPress to them for their real uninterrupted growth. Why Is My Website Not Ranking First Page of Google? Indeed wordpress has emerged as the best CMS platform for the people, if they are willing to set their blogs up. from their wordpress web site. hacked down, thus wordpress delivers the best out of it. Really happy to see your honest feedback here. WordPress is really a good platform to start a website or a blog, my blog is also made in wordpress platform and i am impress with the software, it is so easy to manage without enough knowledge of html and php and css. I recommend this to people who are not too techy but want to start a website for their business online. You are right Paul. Although I have not tried any other CMS, with WordPress I have never felt to look for an alternative also. Thanks for the comment, Glad to know that you liked it.This kind of appreciable comment is enhancing my writing and researching skills tremendously.